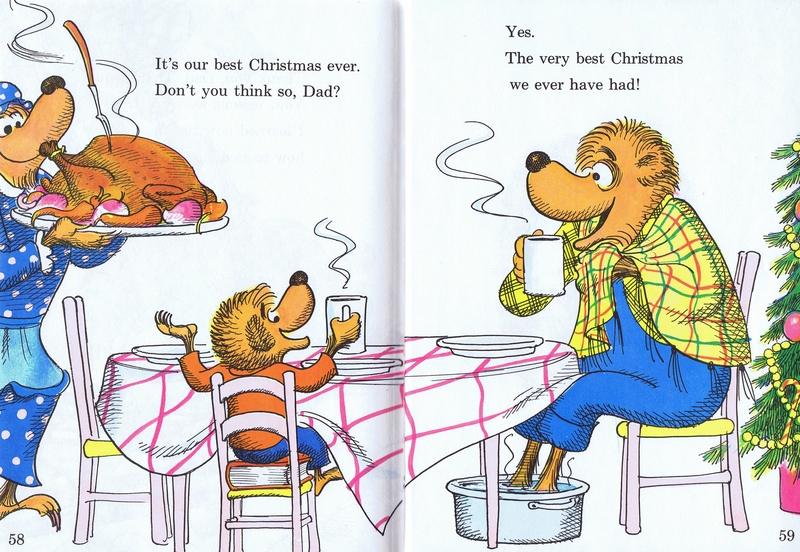 Do you remember Old Hat New Hat and The Bears’ Christmas? 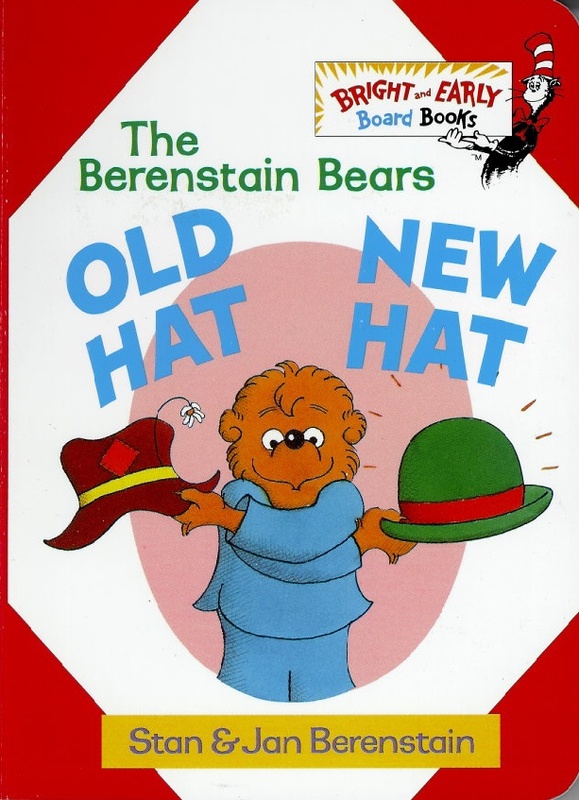 While out shopping, the Bears look at frilly and silly hats, bumpy and lumpy ones in The Berenstain Bears Old Hat, New Hat. See the development of pages 10-11 from the sketch (first image) to the version that was published (second image). The sketch version of pages 10-11. The published version of pages 10-11. 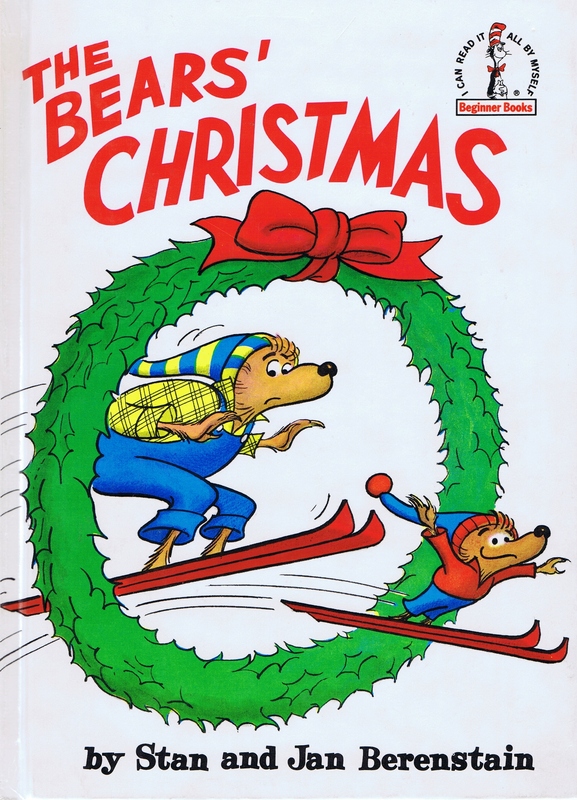 In The Bears’ Christmas, there’s a whole lot to learn one Christmas morning in Bear Country when Papa Bear teaches his son a thing or two about skiing, skating, and sledding. But in the end, it was “The very best Christmas we ever had! 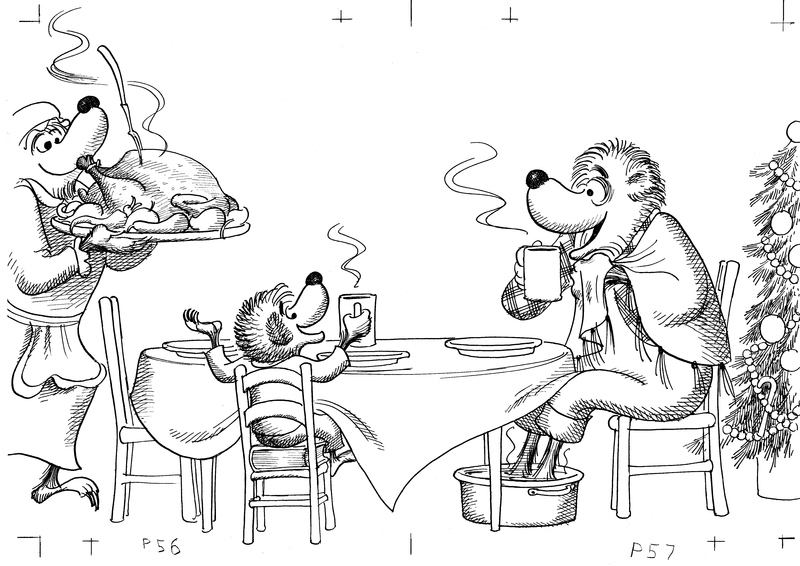 Both titles were published by Random House in 1970. Thanks for your comments! 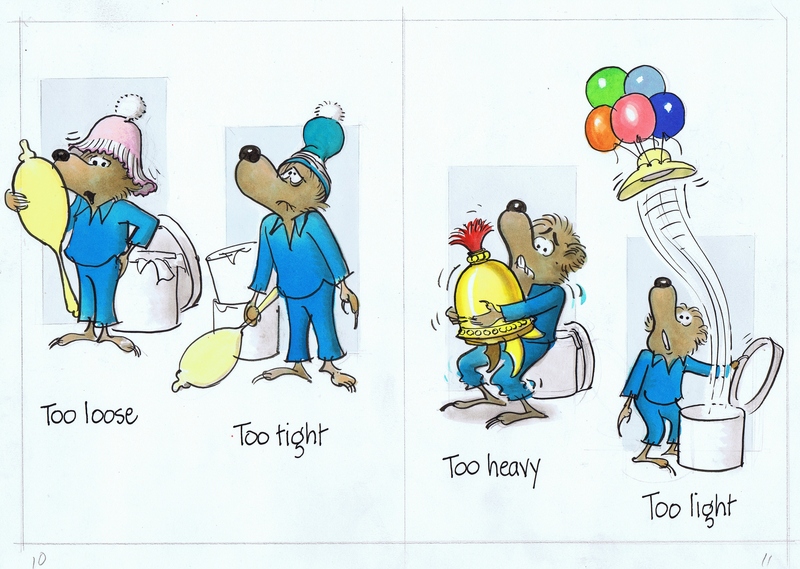 There are some wonderful things in Stan and Jan’s art files which we will try to feature as the year goes on. We trust you have see their “Down a Sunny Dirt Road: An Autobiography” which is filled with wonderful illustrations and information. 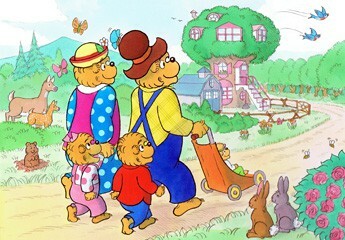 I loved the Big Book of Berenstain Bears Beginner Books. 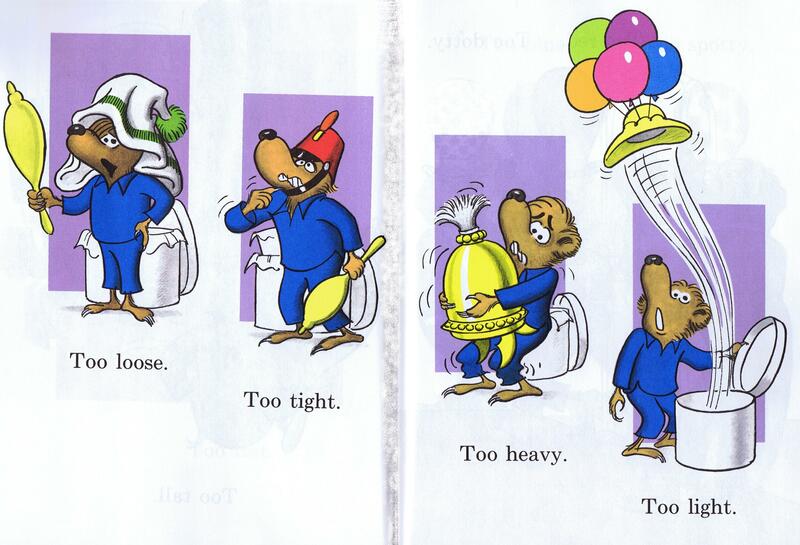 I think your next Big Book of Beginner Books should be entitled “Another Big Book of Berenstain Bears Beginner Books” and include both stories here, along with the Bear Scouts, Inside Outside Upside Down, Bears on Wheels and the Bear Detectives. In publication order, please.